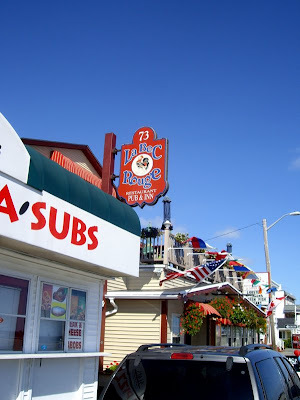 Enjoy - Food & Travel: La Bec Rouge, Hampton Beach N.H.
Hampton Beach is a ghost town from Labour Day to Memorial Day. 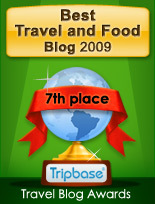 As tourists leave the wide sandy beaches of New Hampshire, hotels, shops and taverns close down for the winter season. Only a few remain open for the whole year. La Bec Rouge is one place where you may seek shelter from the cold wind all year. I did just that a cold September day. I ordered two appetizers for lunch, but was not completely satisfied with the meal. I have always returned to La Bec Rouge during my yearly visits to Northern New England. I particularly recall one visit to the basement bar during the hot summer of 1999 with Norwegian friends. Back then we were served cold beer served in pitchers while listening to “The Whiskey Bar / Alabama Song” performed by the Doors. Those were the days. I could not make an exception this September. 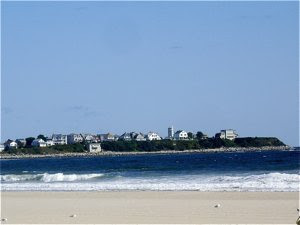 I had a walk from my cousin that lives in a house close to Round Rock tavern in Seabrook N.H. down to Hampton Beach. It was a bright day with a fresh northerly wind giving me a touch of fall. Very unseasonal compared to the other September visits I've had to Northern New England. I found La Bec Rouge rather empty, sat down and studied the menu. I ordered two appetizers - one coconut shrimp with a sweet dipping sauce and buffalo tenders with blue cheese dip. Two appetizers only, as I knew we were having dinner in 4-5 hours and I would prefer not to eat too much. One appetizer would have been enough, as we are talking LARGE portions. It did not taste that good either. 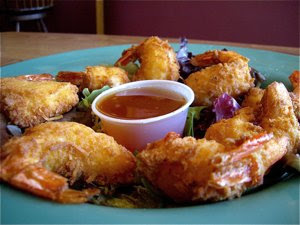 Coconut shrimps are tiger prawns dipped in a batter with coconut and then deep fried. When well prepared you are in for a delicious treat, but the batter at La Bec Rouge was too sweet, and served with a sweet dipping sauce made you wonder whether you enjoyed a savory dish or a dessert. As I found the appetizer a little sickening I asked to get another dipping sauce, and found that soy sauce was a much better alternative as a dip. 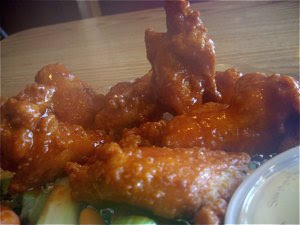 Buffalo wings are a favourite. Spicy marinated chicken with a creamy blue cheese dressing is a delicious company to a dripping cold Sam Adams. At La Bec Rouge, I found the buffalo marinade used for the chicken tenders too salt and it was a gigantic portion that was placed in front of me. I struggled to eat what was on the plate, but left a third of the portion. So what was intended to be a small snack ended as a dinner, forcing me to scale down the size of what I ordered at A1 Deli in Haverhill. 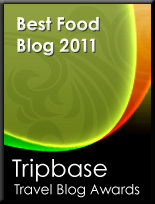 This meal was not one of the memorable moments on my trip, over priced and badly seasoned are key words here. I hope to find the standard at La Bec Rouge a little higher the next time I visit. It is a nice place. Let us hope the cook had a bad day! GREAT REVIEW! cant wait to see you this summer!